US manufacturing expanded in June but factory employment weakened, according to the latest data released by the Institute for Supply Management. 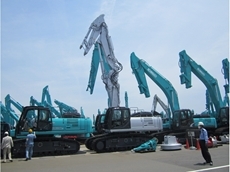 Kobelco’s new Global Engineering Centre in Itsukaichi is on track to help double the company's Japan-based production. While manufacturing offshore saves money, quality can be at stake if you are not careful. Brian Le Mon writes. The manufacturing industry has an uneasy history with outsourcing to Low Cost Countries for cost reduction purposes. Too many times we see the case where a domestic manufacturer has made the decision to move offshore to reduce costs and finds that quality is down, yield is abominable and the product and company name emerges from the outsourcing venture with a seriously tarnished reputation. The blame is usually laid on the offshore manufacturer. Belief is common that these "emerging country" manufacturers are incapable of reproducing our design with the same specifications and quality of the domestic option or materials and processes are within these countries are substandard. 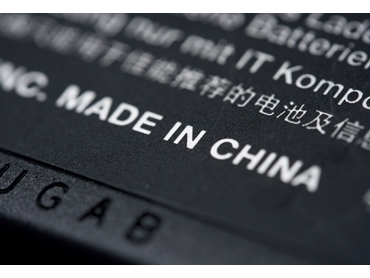 Anyone who has actually visited or worked with manufacturers in these countries and is knowledgeable enough to know the difference can readily dispel these myths. While there may be a few facilities that could be described as incapable or incompetent with shoddy work practices, these are facilities that would be immediately removed from the vendor selection on first pass if minimal due diligence practices are applied by the domestic company. The majority of manufacturers in these countries can no longer be described as "emerging" or start-ups. The facilities of today have regular, compulsory Lean and TQC training sessions conducted for staff on-site and have extensive continuous improvement initiatives in place from 5S work practices to multiple trained and experienced 6S practitioners as permanent staff. In short most offshore manufacturers now have extensive experience working with multiple customers, high volumes and products with a level of complexity and precision that is virtually unfathomable to the domestic competitor. Taking the above into consideration the inevitable question arises, "Why do we see so many attempts at outsourcing manufacturing to an offshore vendor end bitterly with a detrimental effect on the company and brand reputation when there are so many offshore manufacturers that are clearly capable of at least matching the domestic capability?" 1. Outsourcing manufacturing is not the domain of the purchasing/ procurement officer. There is a section of the manufacturing community looking to manufacture offshore with the following philosophy: "I just want to be able to place a purchase order and get my product, I want to hand everything over to the offshore manufacturer and not have to worry about it". These are those with a foolish idea that they can cull their domestic workforce from senior management to floor staff in one hit, retain their purchasing / procurement department and the offshore manufacturer will "fill in the blanks". If you fall into this group then you should really abort the idea of manufacturing your own product designs and look at working as a trading company and rebranding the products from another company with you own name. As a designer, only you know how you want your product to manifest when it reaches the customer. Taking the attitude that you want to distance yourself completely from your own product is doomed to failure. 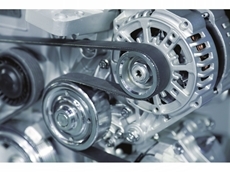 There is a lot to be said for keeping check on the work done by your R&D engineers. Have critical areas of the product design been given tolerance levels for the manufacturer to work within? Or have you received a first item from a local manufacturer and then tweaked the design around the standard offering from this company without verifying how this fits into your original design. For a short lived project the latter may be sensible, if you can safely assume the supplier will not become insolvent during the life of your product and you will never need to consider changing supplier. However if you have a longer lifecycle for your products and at some stage believe that you may be looking for cost reductions through alternative suppliers, following this path will typically result in every other supplier (domestic or offshore) delivering non-conforming product because they do not have realistic parameters to reference. Manufacturers will try to match the drawing and often will not question the validity of the specification. 3. Know your products in every aspect. Those looking to outsource manufacture need to know every detail about their product: material types for EVERYTHING, packaging, print, testing, pass/fail criteria, how it all fits together and what the customer expects when they receive your product. We pass control of these items onto a third party and then standardise on the delivered item without having an understanding of how we would replicate the product should we need to change supplier. Knowledge of these specifics is more critical when looking towards offshore suppliers. Asking an offshore supplier to make a recommendation based on the local standard does not result in the same products in look, feel or quality compared to the local supplier. Product material for the local market may be of a lower quality to attract a wider audience in a country with a lower socioeconomic standard. In summary you need to tell your supplier EXACTLY what you require and verify they both understand and adhere to your requirements. If you are considering offshoring, one of your first actions should be to engage a professional who has done it before. Whether it is via employed, contract or consulting professionals, exploring the mysteries and rewards of outsource manufacturing is best undertaken with an experienced guide.